You no longer have to browse to the xatAlert website to use your fave tools, just open up the side app and use away right by the chatroom, now you can talk to your friends all the time, even when fixing that pesty count power code. Hate that annoying chat or profile that always adds bad CSS To the page, well disable it along with that annoying flashing background. 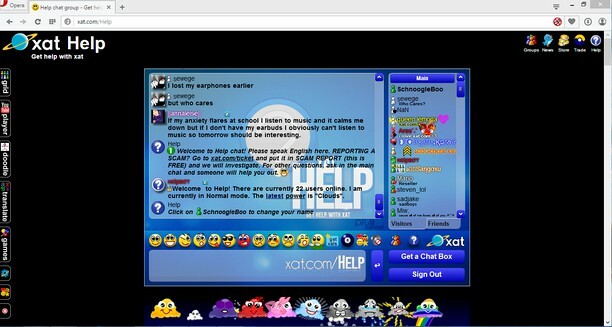 Now you can see that user and chat in the golden xat layout without there bad additions. Feling pretty confident you know how to not get phished? Well activate at your own risk the link validator bypasser, that allows you to click links without confirming if you actually want to visit that page you just clicked. Although we warn you to use at your own risk, and if scammed you will be on your own.